Quick question my mechanic installed a used ignition switch. The locksmith says it cant be programmed. Is there any way to get ton run. ? If you still have the original key just hang it on your key ring. That should work well enough. If you don't have the original key then go to the Honda dealership with proof of ownership and explain what happened. Programmed key should only be ~ $50. Ya put the old key close to the antennae ring. Dangling from the key chain may work but it could be too far away. 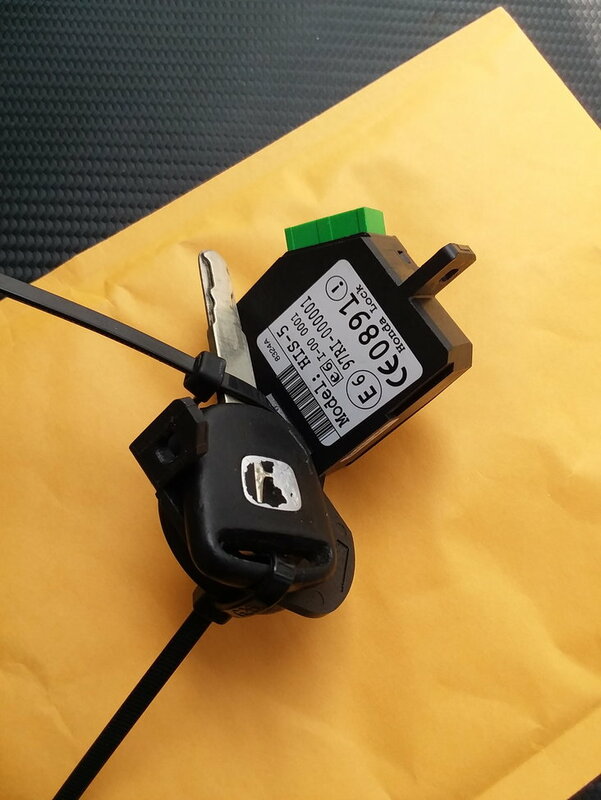 Those autozone type replacement ignition switches do come with a non-programmed chip key. But you can defeat this anti-theft measure and box the original key. Or program the new key. I just posted about how I replaced my locks the cheap way. Thread is a little ways down the page. 2003 Honda civic LX no crank no start. Help! !